It is not just people that willingly intoxicate themselves with various drugs and herbal substances to alter their minds because many animal species will do this too. One of the most commonly displayed examples of this behaviour is found in cats that will happily get “stoned” by various herbs, with Catnip being the one many people know about. Catnip (Nepeta cataria) is, as we have already noted, the most well-known psychoactive herb used as a recreational drug by cats. This plant in the Lamiaceae family, which also includes Mint and Sage, is a short-lived perennial herb that comes originally from southern and eastern Europe, parts of Asia and China, but is now grown in many parts of the world and is naturalised in some of these. 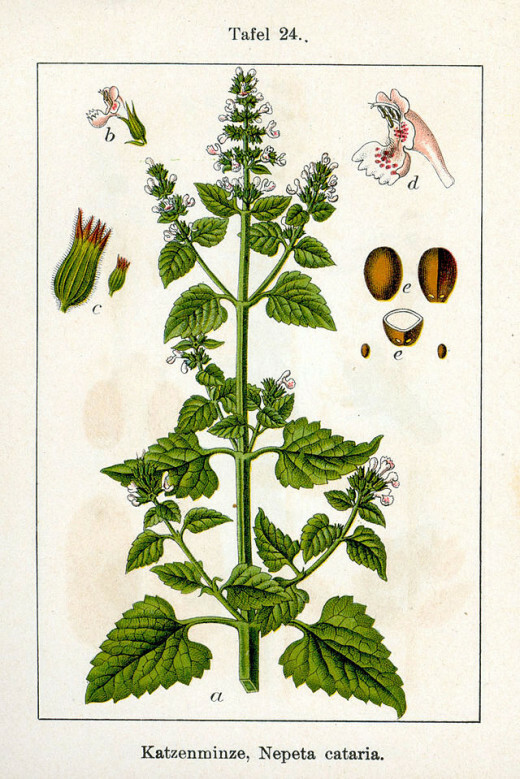 Catnip is also known as Catmint and is a popular garden plant. It forms large clumps and has aromatic foliage and pale purple or pinkish flowers. Catnip attracts cats because of the nepetalactone it contains, and the animals detect it through their noses. This substance causes cats to roll around on the floor, to paw at the air, to rub against the plant, to make sounds of pleasure and to lose interest in doing anything else while under the power of the herb. Not all cats react to the plant though. It is not just domestic cats that are affected by Catnip, because it has been shown to cause a reaction in wild cats species, including some of the big cats such as tigers and leopards. 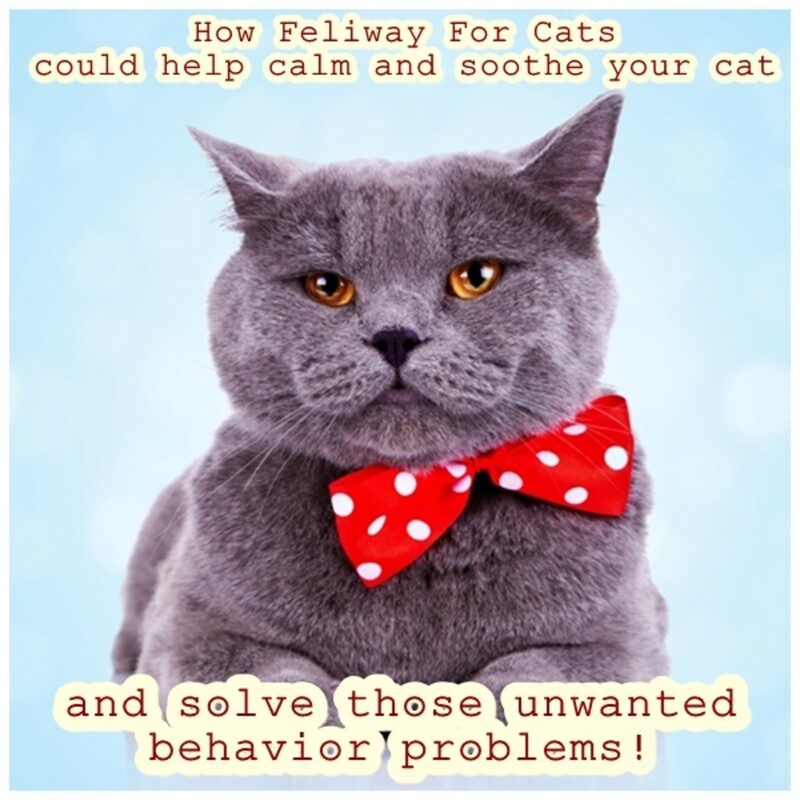 Catnip has become marketed via the pet industry as something to use to keep your cat happy. There are cat toys that contain catnip. Catnip has an effect on humans too and if smoked as a “joint” it is said to cause relaxation and a mild feeling of being “stoned.” It is probably better left growing in the garden or as a herb to delight your pet with though! Valerian (Valeriana officinalis) is another herb that has a strange effect on cats and they react to it in a similar way to catnip if exposed to the root of the plant. Valerian can be used medicinally for humans because it acts as a tranquiliser and mild sedative, so is useful in cases of anxiety and insomnia. 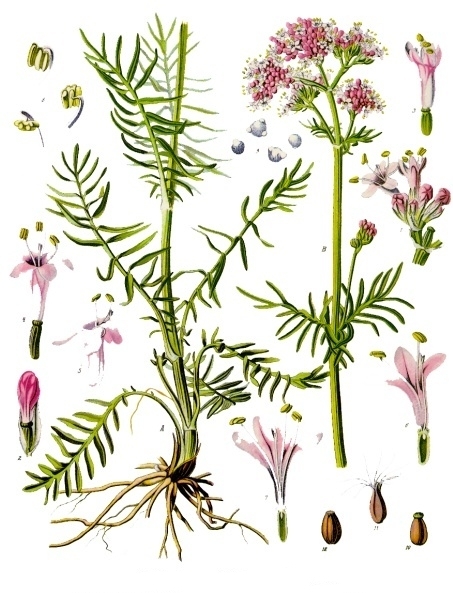 Valerian is widely available in health stores and from suppliers of herbal supplements. Valerian is also known as All-Heal and Garden Heliotrope, as well as Phew, Phu and Fu. These latter names are because of the powerful smell given off by the roots of the plant. Many people find this an unpleasant smell, although the herb has found a use in the perfumery industry. Valerian is easy enough to grow in gardens and being a perennial it should come up each year, after resting overwinter as creeping rootstock. Valerian grows best in a damp and rich soil but likes plenty of sunshine. Valerian is found growing wild in woods, in ditches and in grassy places in many parts of Europe and in many countries within the northern hemisphere. Because of its use as a medicinal herb Valerian has become cultivated on herb farms and in herb gardens worldwide. 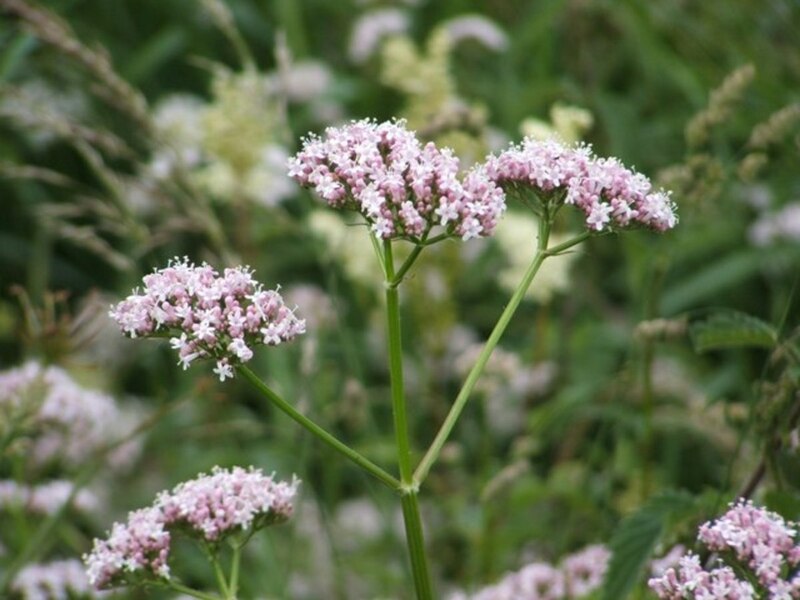 Valerian flowers in summer bearing umbels of pale pink or pinkish-white flowers on tall stems that can grow to over 1 metre in height. The aromatic roots are harvested in the fall, when they are dried out, broken up into smaller pieces and then stored. Kiwi Fruit (Actinidia spp) roots and bruised stems cause cats to become “high” too. 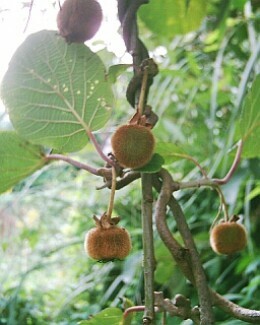 The Kiwi Fruit grows as a hardy but deciduous vine, and cats delight in scratching around the roots of Kiwi Fruit vines. The smell of the plant will cause them to roll about in ecstasy. The Kiwi Fruit plant contains actinidine, and this acts like nepetalactone on our feline friends. 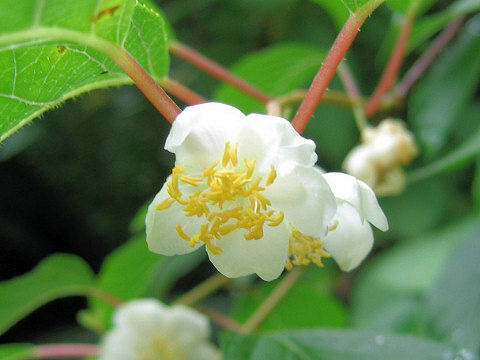 Actinidia polygama is closely related to the Kiwi Fruit but is known as Silver Vine due to the colouring of its leaves. It is also called “Cat Powder” because of its effect on these animals. Silver Vine has edible fruit too. 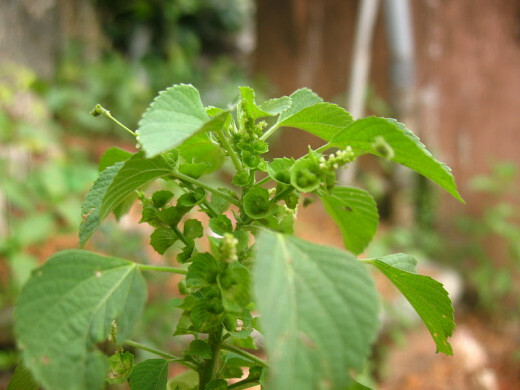 The Indian Acalypha or Indian Nettle (Acalypha indica) is yet another plant that will get cats high, to such an extent that the plant is known as Pokok Kucing Galak ("Excited Cat Tree") in Malay. Indian Acalypha has green flowers that form catkins. It is a weed that comes from South and tropical Africa, as well as India, Pakistan, Sri Lanka and various other countries. It has also spread in places where it has been introduced. Indian Acalypha is cooked as a green vegetable in some parts of Africa and has been used as a medicinal herb, thought to have rejuvenating effects on the body. 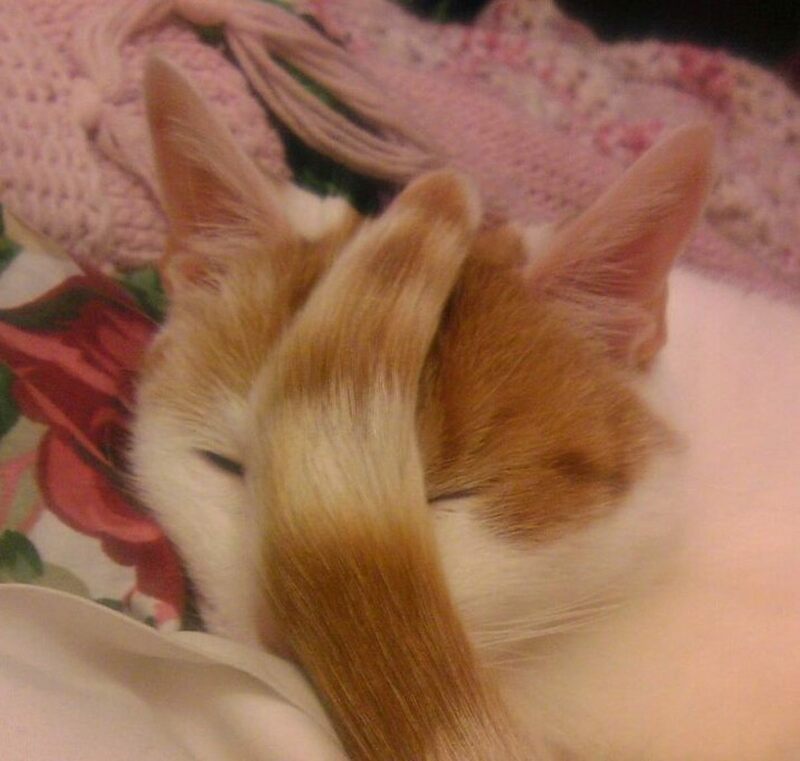 It certainly has a stimulating effect on cats! Catnip Kitty: Why Do Cats Like Catnip? Watch the Catnip Video! Very nice information Steve. It seems that cats love psychoactive substances a lot. Quite interesting. You put this together very well and I learned a lot, thank you.